Just when you think you know everything, along comes a new piece of information. 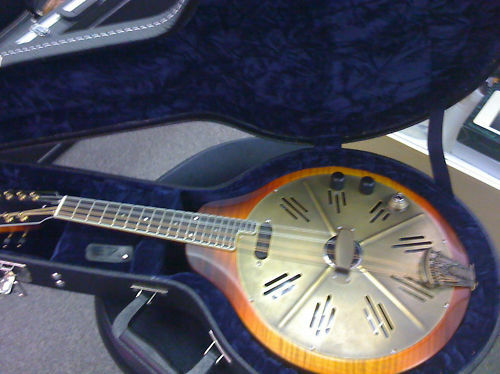 I used to believe that National Resophonic got into electric mandolins a few years after the other big makers. That was before I started stumbling across instruments like the one on the right, dated as early as 1934, and the one above, which is probably a few years later. 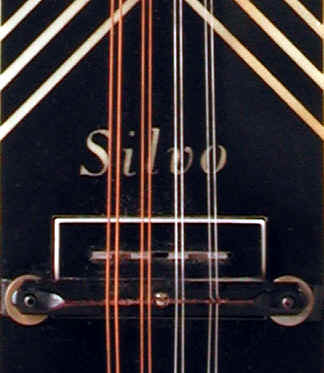 That would make National the second company to produce an electric mandolin—three years after Rickenbacker, but two years before Gibson and Vega. How many of these instruments were produced I don't know. 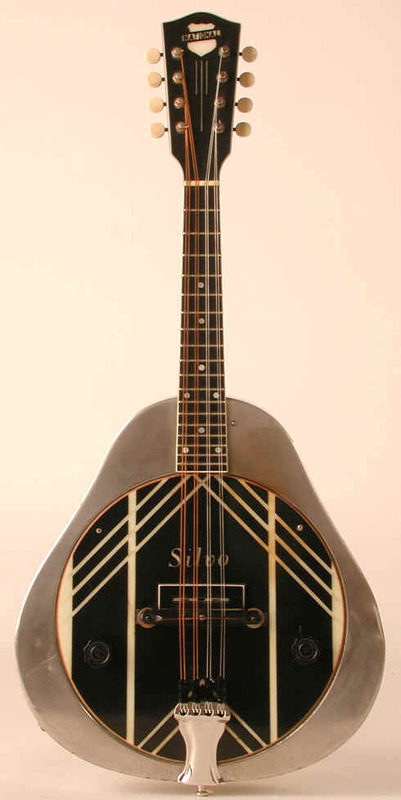 Of late, National has begun offering its new RM-1 resophonic mandolin with a "hot plate" pickup attachment designed by Jason Lollar. These sound fantastic and have been embraced by blues artists like Rich DelGrosso and Bert Deivert.